The 3DS has enjoyed a successful life after its initial launch stumbles, turning into arguably the most highly rated mobile gaming platform of all time. Nearing four years in its lifespan, the system boasts an incredible library of quality titles from first and third-party developers alike. With such a strong presence in the market, Nintendo has had little pressure to push forth an entirely new series of handhelds. Instead, their latest family member, the New Nintendo 3DS, smartly improves nearly every aspect of the system, silencing some major criticisms of its predecessor, while boosting its internal power to handle heavier games going forwards. It's still not a completely perfect package, but is enough to keep the system on its pedestal for a few more years to come. 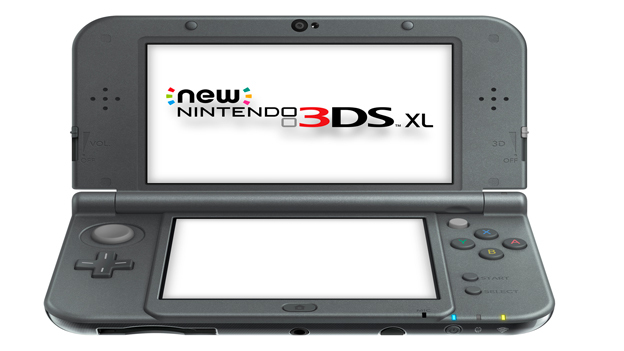 Calling it the "New" Nintendo 3DS is a bit misleading, and somewhat of a poor name choice for marketing. When trying to explain to the non-gamers in my life that I am picking up a New Nintendo 3DS, their immediate reply is, " What's wrong with your old one? ", and then ensues the explanation of all the features in the "new" system. 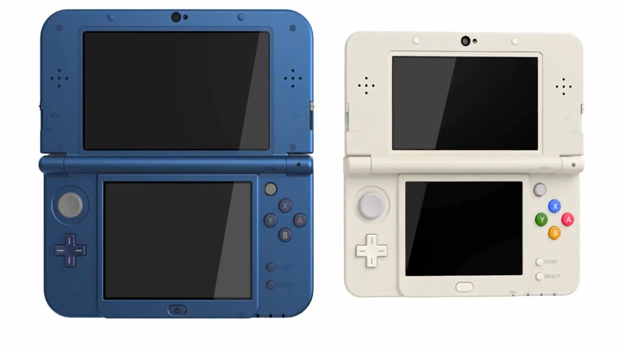 Calling it the Improved Nintendo 3DS would be more accurate, although neither choice rolls off the tongue. But then again, Nintendo never had a knack for choosing globally accepted names for its systems. Despite this, the dedicated gaming community is well aware of the upgraded system, and if you're questioning whether the purchase is worthwhile, the answer in every case is a resounding yes. Whether new to the 3DS family or currently the owner of a 3DS XL, the New Nintendo 3DS has enough improvements to warrant a purchase or trade-in. 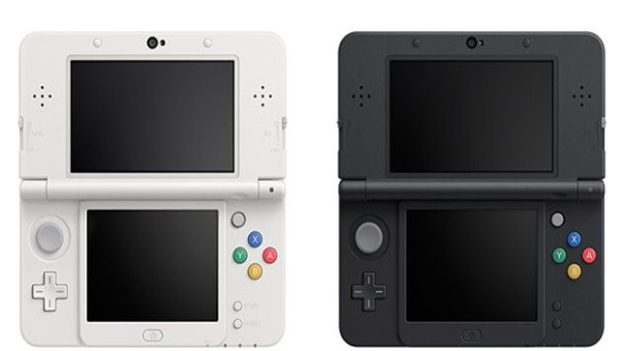 With a side-by-side comparison of the 3DS XL and New 3DS XL, you'll easily spot the changes in the physical makeup. The volume slider has been moved to the side of the top screen and the power button now placed at the base of the system, making accidental volume spikes and system shutdowns a non-issue. The Start and Select buttons have been placed on the right side, leaving a compact Home button alone at the bottom of the touch screen, again a much better placement for those buttons. The coloring of the letters on the A,B,X,Y buttons pays homage to the old Super NES controllers, a superfluous though thoughtful touch. Two new trigger buttons, ZL and ZR, are meaningless additions for current games, but offer more control versatility for future titles. By far the most important physical control upgrade is the addition of the C-stick nub. Eliminating the use of the bulky Circle Pad Pro attachment, this extra analog input allows for manual camera controls from the user without having to rely on the simplistic D-pad. It doesn't provide the pressure versatility of the Circle Pad, and the sheer small size requires a little getting used to, but you'll quickly find that the sensitivity of the nub manages the camera efficiently. The second analog input is a welcome addition, but is trumped by the inclusion of the system's extra camera dedicated to facial tracking, henceforth eliminating every criticism about finding the "sweet spot" with the 3D effect turned on. Dubbed "Super Stable 3D", the feature backs up that title, finally allowing players to enjoy the system's titular glasses-free 3D feature. The device can be tilted and shifted a generous distance before noticing any displacement between the visual layers. It's such a enormous improvement, you'll likely go back through your entire arsenal of games you originally played with the 3D turned off, only this time cranking it up to full and basking in the depth-defying glory. Of course, playing games under the full effects of 3D drains the battery considerably faster, and the only slightly updated lithium-ion battery means plenty of hours spent plugged into an outlet. But wait, make sure you have a spare charger, since the New Nintendo 3DS comes packed sans an AC Adapter. Nintendo assumes this a minor inconvenience to keep the retail cost of the system down considering how many consumers have a charger on hand from a previous 3DS or DSi system. However, there's likely a sizable populace of New 3DS owners who will be trading in their prior model, having to include the adapter in the trade as well. Naive parents could also purchase the system as a new gift for their young ones, only to find they need to run back out after cracking open the box and finding no charging cord. This is a situational criticism, since it could be meaningless to some and a pain in the tuckus to others.